Book Creator supports Clever's Single sign-on (SSO). With this integration teachers and students can seamlessly sign into Book Creator without needing to create an account. If you have provided a teacher with a Book Creator license in our Admin Dashboard they will be automatically granted the license when they first sign in. If no license had been made available they will be signed into the free version of Book Creator with limited books and features. What will happen if some of my teachers or students already have Book Creator accounts? This is fully supported. We will match an account using email address and all of their books and libraries will be available to them. They can also continue to sign in direct to Book Creator with their original method (Google, Office 365 etc) alongside a Clever sign in. Can teachers sign in through Clever without a paid Book Creator licenses? Yes, you can make Book Creator available to all your teachers through Clever. If no Book Creator license is available for them in the Admin Dashboard we will automatically assign them the free version of Book Creator. Is Book Creator available in the Clever Library? Yes it is. 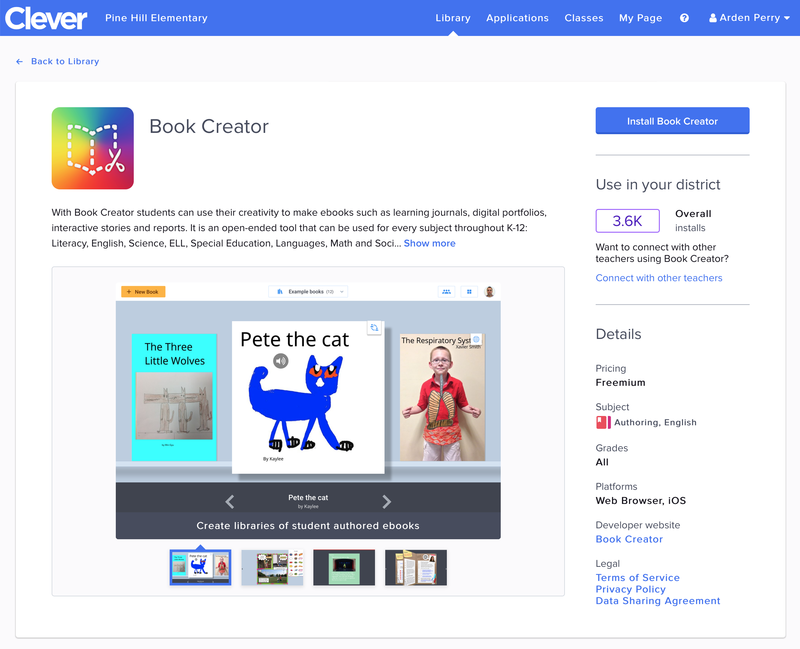 Teachers can try out Book Creator direct from the Clever Library, and install it to their Clever Teacher page with a single click.